Recently Nik Software produced a special limited production bundle of 3 of their most popular products, Color Efex Pro 4, Silver Efex Pro 2 and HDR Efex Pro. I'm pleased to announce that they are making the "Creative Efex Collection" available using my special discount code (RMARTINSEN). 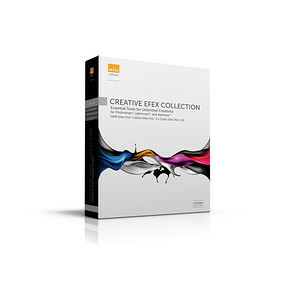 What is the Creative Efex Collection? 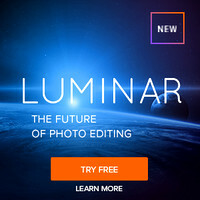 A timesaving solution for professional portrait retouching, color correction, creative enhancements, high-dynamic range imaging, fine art black and white conversion, and much more. Includes Color Efex Pro 4, Silver Efex Pro 2 and HDR Efex Pro. The Creative Efex Collection enables photographers to maximize their creativity with some of the most versatile tools available. NOTE: This is different than the Complete Collection which includes all of the software for either Lightroom/Aperture ONLY or Lightroom/Aperture and Photoshop. Only 400 box units are available nationwide, so this is only while supplies last! 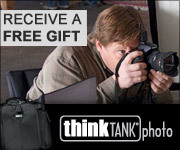 NOTE: My Coupon Code will work with other Nik Software Products both now and when this offer expires! Codes can expire, so always check my discount coupon code page for the latest discounts and coupon codes. I may get a commission if you make a purchase using my code. Thanks for being loyal to my blog and supporting its growth by using my links and codes!